Today we are having replacement windows installed in our house, and the sounds of breaking glass and banging and tearing are quite mind-numbing as the installers move from room to room. 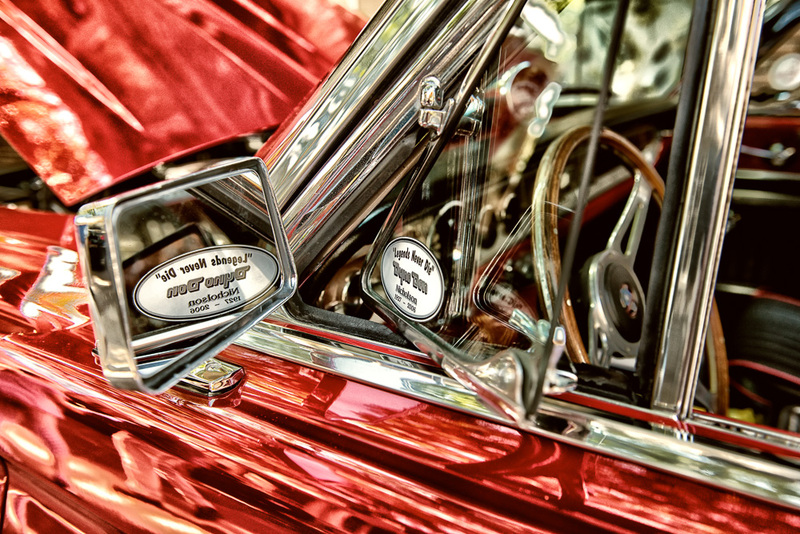 So, I thought I’d spend some time working on a photograph that soothes and reminds me of how gorgeous windows and sparkling glass can look when combined with chrome and a lovingly restored antique automobile. This image was processed in Color Efex Pro 4 using the Detail Extractor and Glamour Glow filters. Wow, this is such a cool picture!!! Thanks so much, Natasha! It was fun to play with the filters. Which ones did you use? Oh, you wrote in the description! It does look glamour! Superb! The colors and shine on this car is absolutely stunning Tricia! Thanks, Emily! Fun with filters!